Topics about events/announcements that are no longer relevant. Hey SMBX Community, it's July! For those who don't know, we use these monthly threads to post the latest announcements in addition to featuring an episode and graphics pack. This month, enjoy the warm weather and go outside instead of playing SMBX all day, goddamnit! This is kind of old news, but as you may have noticed Ace is now part of our moderator team, so give him a warm welcome if you haven't already! Due to lack of people signing up, the Pokémon tournament is cancelled. This won't be the last tournament, but right now there isn't enough interest, so for the near future the tournament is benched. In 2016, Enjl and snoruntpyro set out to remake 2k15 Halloween Hypnosis and brought Hypnosis Redo, a collection of colourful levels with original boss fights and two completely unique ways to play. Etc. 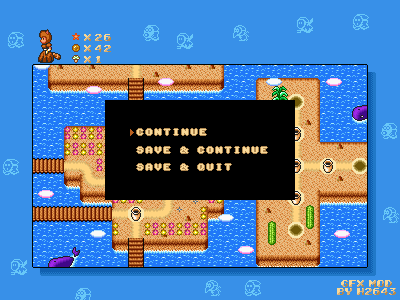 h2643 brings us SMB2-styled replacements for the SMBX interface and menu graphics! These are perfect if you want to create an SMB2-styled episode or a level that requires full SMB2-immersion. And while you’re still here, here’s a quick reminder that we are always looking for Level Reviewers and people to help with SMBX’ Social Media. Check out the two linked threads if you want to apply. In addition to that, we are still looking for people to help manage the wiki. If you're interested, contact Pseudo for more information. And that’s it for this month! Happy SMBXing everyone!